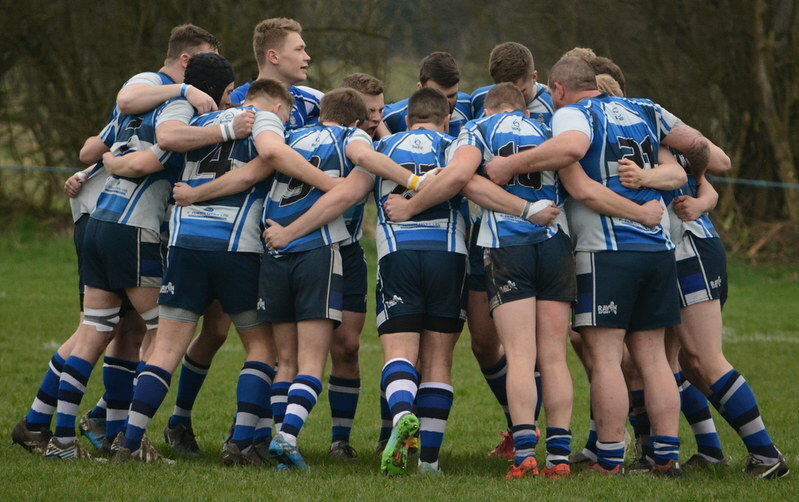 Several days of fine weather produced a dry surface which suited the home side’s open style of rugby and, on a grey afternoon, they were able to continue their run of improved form to produce a comfortable victory over visitors Castleford. The task looked far from easy in the first six minutes when from the kick-off the visitors took play into the home 22 with some skilful offloading by both forwards and backs. Eventually the hosts got their hands on the ball and decisive running by centres Ollie Eaves and Luke Cowdell took play into Castleford territory. A move involving winger Josh Howarth looked certain to produce a try when a defender slapped forward the final pass in front of the posts. After some deliberation, the referee produced a yellow card, but failed to award the hoped-for penalty try. The hosts went back into the attack with a weaving run by full back Alex Murphy and, after some good back play, winger Josh Howarth crossed for the first try on 15 minutes with fly half Will Cooper adding the extras to take a 7 – 0 lead. At this stage ‘Ensians were generally on top apart from in the scrums where the front row of Toby Keep, John Offer and Paddy Phipps found it hard going against heavier opposition. The home lineout was working well through flankers Sam Featherstone and Ollie Cooper and the hosts used this possession to keep up the pressure. From quick ball in the home 22, flay half Will Cooper dropped the neatest of goals to extend the lead to 10 – 0 on 18 minutes. The visitors struggled to cope with the home side’s enterprising play with both forwards and backs working together to push play up to the visitors’ line. A good drive by No. 8 Rob Arbuckle went close before winger Chris Westland dived over to move the score to 15 – 0 on 25 minutes. Castleford were taking scrums against the head and they managed to take play into the home 22 where they got on the scoreboard with a penalty on 28 minutes. At this stage prop Joel Wakeford came on and succeeded in shoring-up the struggling scrum. Just before the break fly half Cooper was on the end of a clattering tackle, but after attention he was able to continue. The second half started well for the hosts as full back Alex Murphy jinked his way through several defenders to take play deep into Castleford territory. The visitors responded immediately with strong drives and support to take play into the home 22. After an untidy lineout, they moved the ball into mid-field where their centre cut through for a try near the posts. The conversion narrowed ‘Ensians’ lead to 15 – 10 on 26 minutes. For the home side Lee O’Donnell came off the bench into the pack where, along with Rob Arbuckle and lock Michael Groves, his powerful drives made inroads into the visitors’ half. When Castleford infringed, a kick to the corner allowed the home pack to pressure the line. Initially the defence held, but with quick ball from scrum half Rob Lofthouse, full back Alex Murphy joined the fray to crash over in the corner on 51 minutes. With the conversion failing, the lead was stretched to 20 – 10. It was now all-out attack from the hosts with Castleford desperately defending for long periods and frequently getting on the wrong side of the referee. Consequently, play tended to become scrappy and an element of niggle began to creep in. The home side continued to move the ball wide at every opportunity and fly half Will Cooper scored an excellent try, showing balance and pace as he cut through in style to go in near the posts. His conversion extended the lead to 27 – 10 on 68 minutes. Replacement winger Lewis Robinson came on to add his lively presence in the closing minutes as the backs were shuffled round to cope with injuries. The hosts continued to attack, but the final whistle came on a disappointing note with scrum half Rob Lofthouse receiving a high tackle as he raced down the touchline. This was a well-deserved bonus-point victory for ‘Ensians who worked hard to produce some spells of good rugby in among frequent stoppages and, at times, questionable defensive tactics.